Giant mosquitoes, dead pigs and chickens, tainted flood waters; it all sounds like it’s out of a horror movie. After the destruction that came from Hurricane Florence, southeastern North Carolina residents are left to pick up the pieces of this historical rainfall and subsequent flooding. However, in addition to the extensive property damages and the estimated 30 deaths, the flood waters brought with them a cocktail of harmful chemicals into our waterways, including overflowing coal ash plants and pig farm lagoons, not to mention the pre-existing dangers of a dangerous chemical called GenX. As a new resident of Wilmington, this was a surprising revelation. Southeastern North Carolina was in trouble, so much so that a law firm which also represents the citizens of Flint, Michigan, now has class action cases in our fine city. The more I was reading, the more intense things became. From Chemours cocktails of chemicals, to the heavy metal residue of coal ash plants in Lake Sutton, to the overflooded pig farm lagoons— all upstream of our water supply— there is a lot to be concerned with as a Wilmington resident. 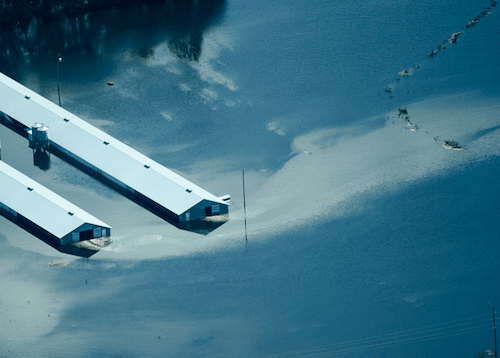 CAFOs (concentrated animal feeding operation) overflowing in Southeast North Carolina. Image courtesy of Alan Craddick. million gallons of pig waste into the watershed after the lagoons were inundated. There were coal ash landfill breaches from Duke Energy, that contain high amounts of heavy metals such as arsenic, mercury, chromium, selenium, and boron that were flooding the Cape Fear River. 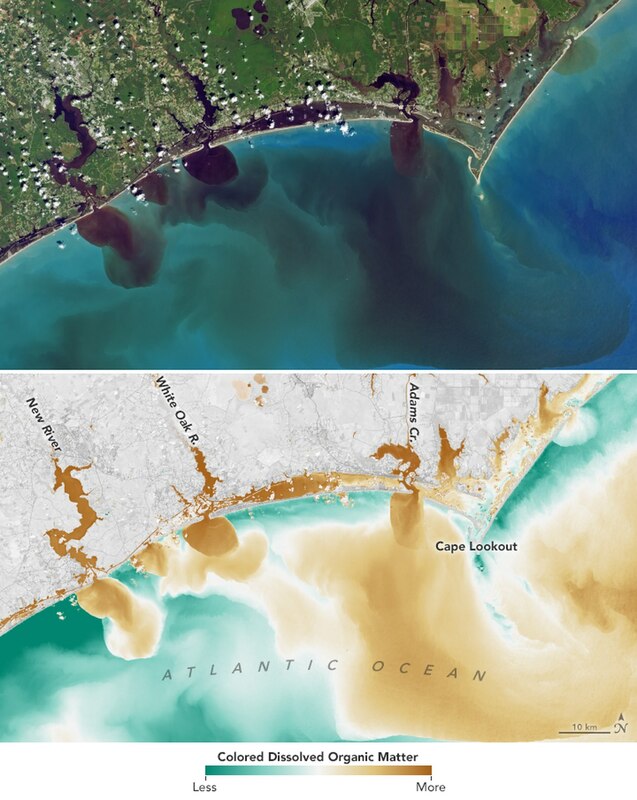 After the flooding, residents have reportedly seen a grey sludge covering parts of the Cape Fear River and have attributed it to the overflooding of coal ash plants. Additionally, even before flooding, there was a very serious issue with the water in Wilmington. In 2001, a dangerous chemical called C8 was found in the Cape Fear River. C8 is a processing agent used in the manufacturing of Teflon, which helps the non-stick chemical become evenly dispersed across a pan during production. After C8 was discovered to contain carcinogenic causing agents, Chemours, a company owned by Dupont, switched to GenX, which is a new compound developed in 2009. Little testing has been done on GenX, and some of its properties are a cause for concern. Unlike other chemicals, that can be relatively easily absorbed by dirt where risk can be diverted, C8 instead wants water. Frustrated and confused about the recent environmental and water issues in southeastern North Carolina, I sat down with UNCW Professor Larry Cahoon, who is a biological oceanographer and limnologist (the study of inland waters, tributaries, and reservoirs) to get his thoughts on the biggest issues for southeastern North Carolina residents. *At the 43-minute mark, Dr. Cahoon mentions Parkersburg, West Virginia in relation to GenX. For anyone still interested, there is a great new documentary called The Devil We Know which exposes Chemours, C8, and its impact on farmers and residents in West Virginia.